Winter is one of the greatest seasons up north. 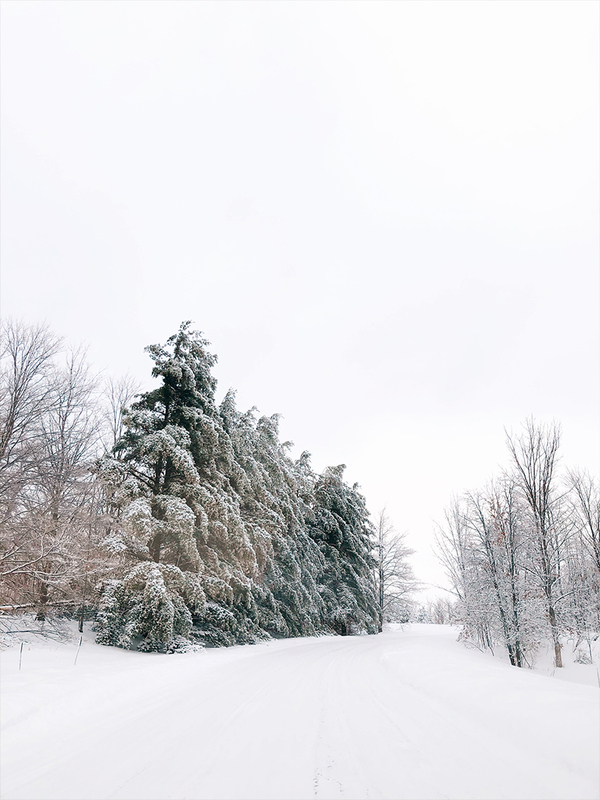 Sure it is the opposite of the warm and amazing days we have in summer here, but my goodness is winter a treat if you are willing to embrace it and if you want a new view. 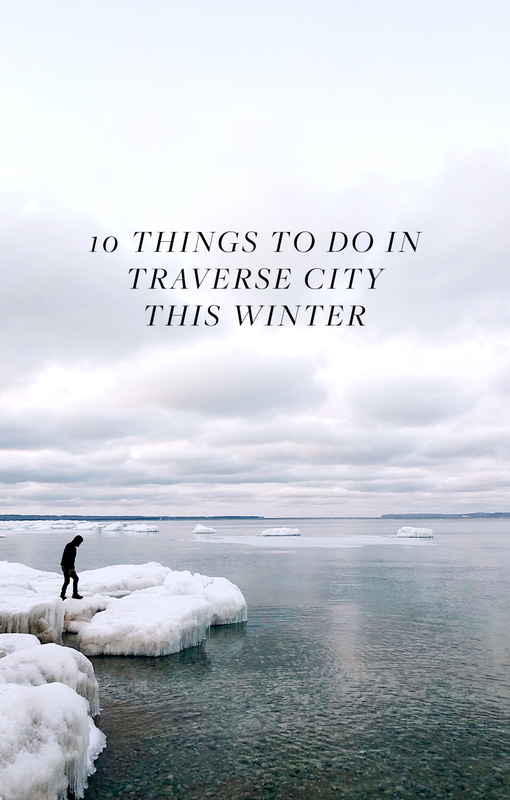 So to inspire some new perspectives of the types of things you can do up north I wanted to write a post for those of you who have asked me many times if winter is a good time to visit. The answer is yes! Come north and enjoy some cozy days with lots of fun things to do outside too. Bring proper gear and it will be a blast of a time. 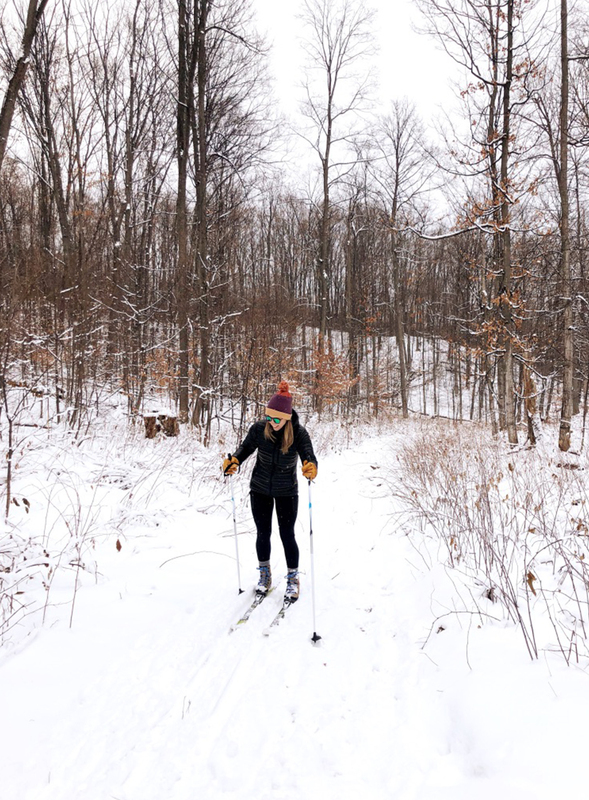 Nordic Cross Country skiing on the right trails is an easy and fun way to get out in the winter for beginners or extremely active people. There are varying trails all over the area and you can see a whole new view of the area this way. If you don’t have your own skis, head to Brick Wheels in Traverse City and rent some for a day or weekend. 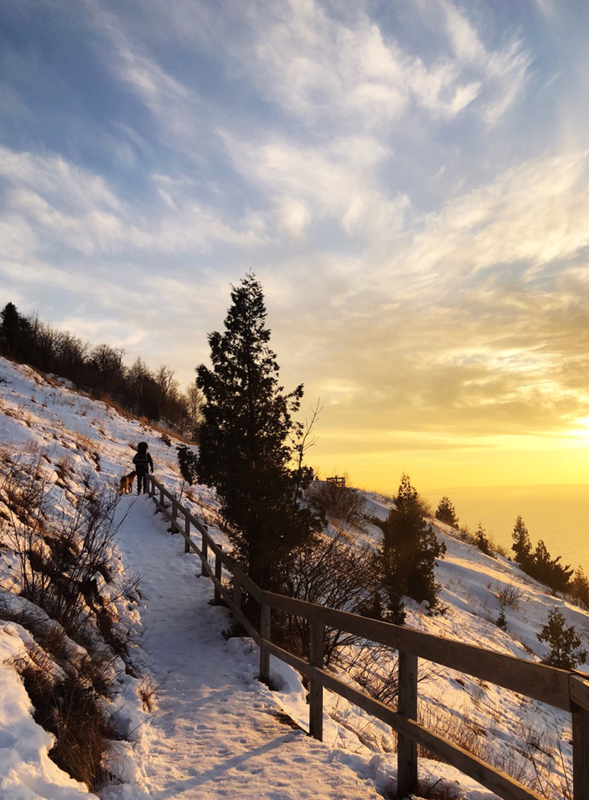 Then head out to the VASA, TART, or into Sleeping Bear National Park (you will need a park pass), and check out any of the designated trails on your skis. Ask at Brick about suggested trails for your skill level as well. It is a super easy and fun way to enjoy the area. I did a post a few winters back of some of the best ones to check out, but I find distilleries a fun way to enjoy winter over a winery. Though the wineries are still fun in the winter, there is something far more warming about trying liquor. 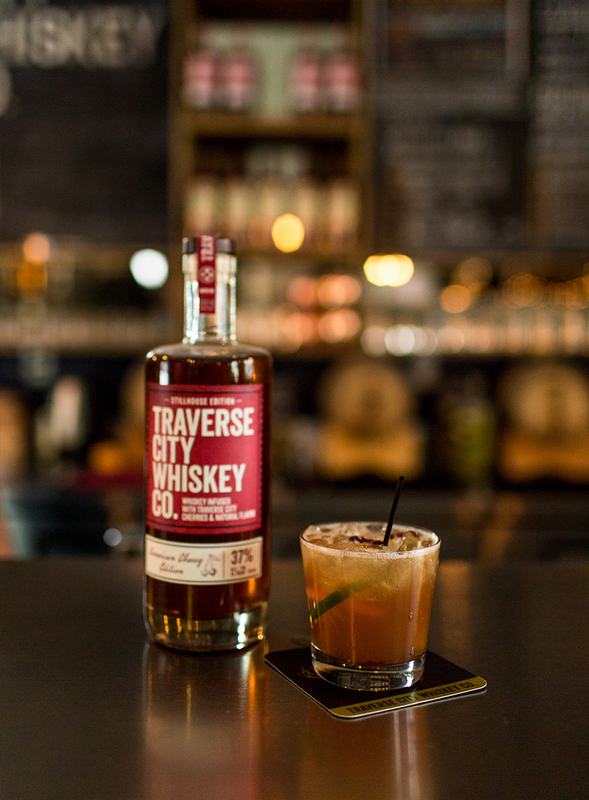 So head out and check out places like Iron Fish Distillery, Traverse City Whiskey, and Grand Traverse Distillery. All of them have awesome options to try some local liquor and have awesome vibes to enjoy. If you want to enjoy getting out in the elements but still want to stay warm, reserve an igloo at Hop Lot in Suttons Bay for an afternoon or evening meal and drink. They have a big fire that you can warm up by and enjoy being cozy in one of the igloos outside. It seems like a normal thing to do, but honestly it is so fun! And if you are new to skiing it can be really fun here and easy because the slopes aren’t anything like out west (for better or worse) but they are great to learn on. 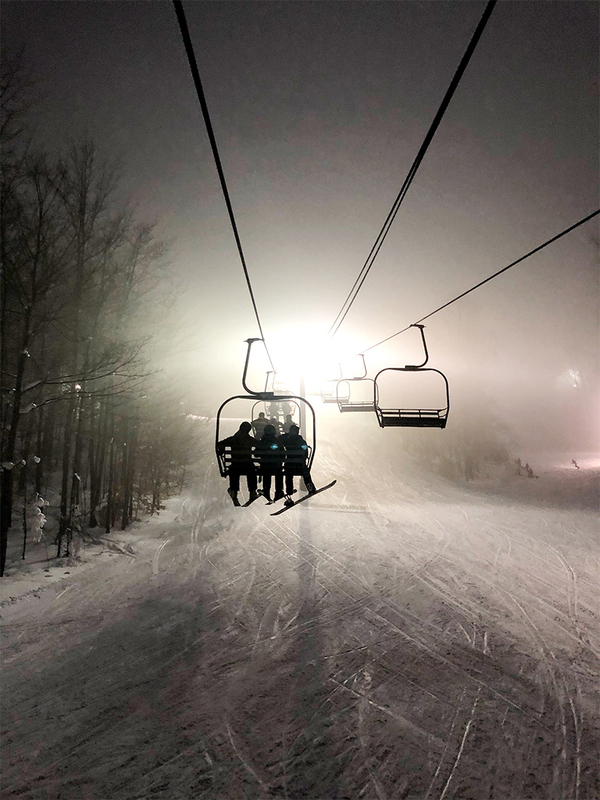 So head to Crystal Mountain, The Homestead, Shuss Mountain, Nubs Nob, or Boyne Highlands for the fun and enjoy the other amenities many of these places offer as well. If you need some pampering coming north is a great plan. There are are some really nice spa experiences at many of the resorts here such as The Grand Traverse Resort, Crystal Mountain, and The Homestead all offer great spa experiences. You can stay and enjoy the experience right on the same property. An old ski hill turned into a tubing hill. Sounds fun, huh? It is and there is fun for almost every age. It is basically the biggest sledding experience you may ever have plus they have a brand new lodge as well for warming up. Winter is great for cozy restaurants but it is also a great time for wonderful brunches as well. In the winter many places open up hours and meals that they don’t do in the summer…a benefit to the locals I presume, but you can find great new experiences you may not get in the summer because of this so check out places like Alliance, Rose and Fern, and Salt 2 Sugar for something you may not do in the summer. 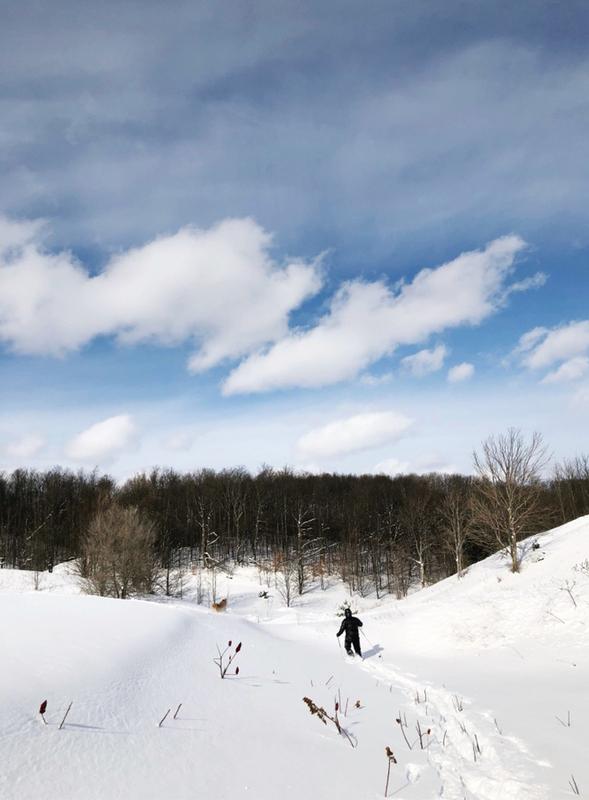 Many of the wineries up here offer trails for you to hike through their sleeping vineyards and so if you have snow shoes or skis or not it can be a fun way to enjoy the day. Also check the wineries you are interested in because some also have events during these colder months to bring people in that include unique dining experiences and outdoor festivals. I would suggest Rove, Brengman Brothers, Brys Estates, Mawby, and Blustone but you can check with almost any of them and they will have something to offer this time of year. It is an awesome place to hunker down up here especially if you want a solid winter fix. There are tons of wonderful Airbnbs that many times are booked solid by summer and fall so you can have a great experience at a wonderful and unique rental without a second thought. 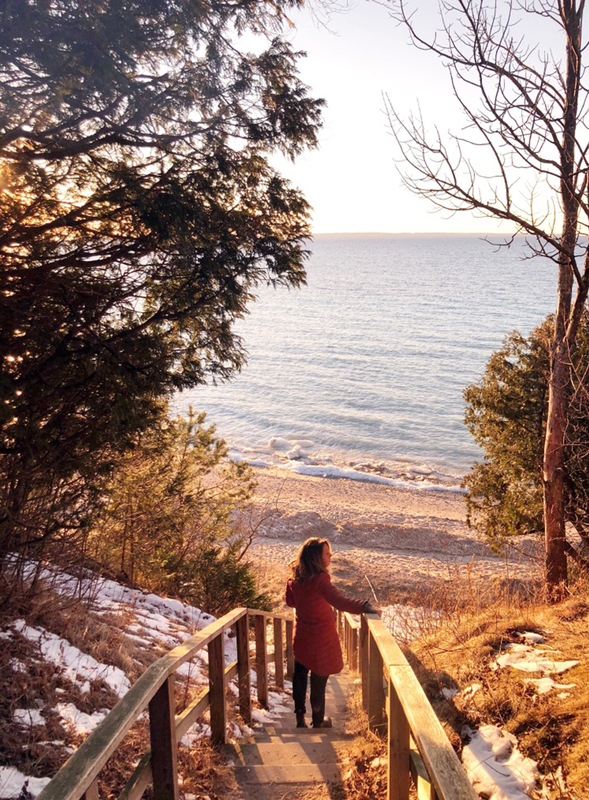 Some I would suggest are Hygge Stay’s Properties, Northshore’s Properties, and properties from Northern Migration, but there are many great ones on Airbnb. I suggest one with a wood stove personally. 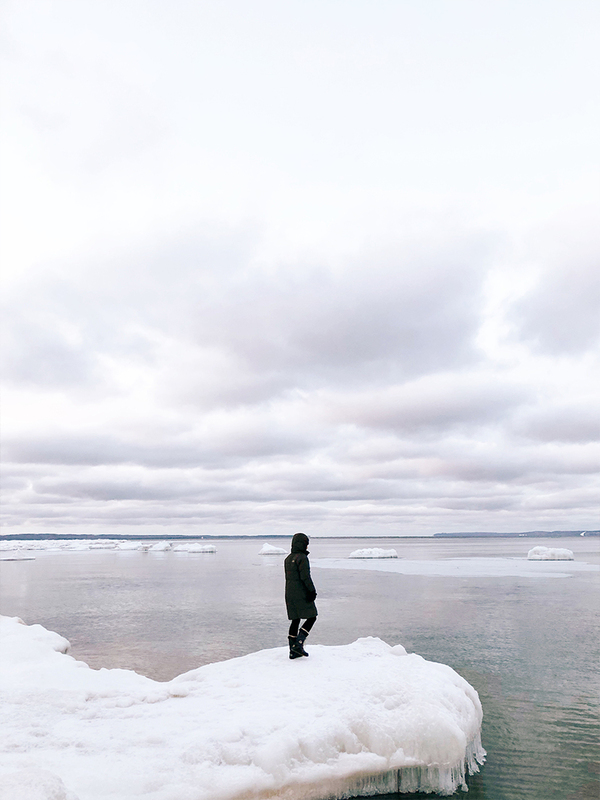 After all the snowy and wintery days we have been having the lake has frozen in unique ways and it completely changes the landscape here so head out to a place you love to visit in the summer and wander the beach. Dress warm and be ready for a warm up afterward though. Also, be VERY careful when walking on ice and make sure it is solid and I would not suggest walking out very far and staying close to shore. It can be very dangerous so don’t be brave unless you are familiar with this sort of landscape and know its limits. If you have other suggestions from your own time up north let us know! We love hearing your suggestions as well! Or if you have questions feel free to leave them below.